"The 1,080 case 2013 Syrah Patrina, which is the entry level Syrah, sees a higher temperature during fermentation and roughly 20 days on skins, with periodic punch downs. Aged 22 months in two-thirds new French oak, it trumps most estates grand vin. 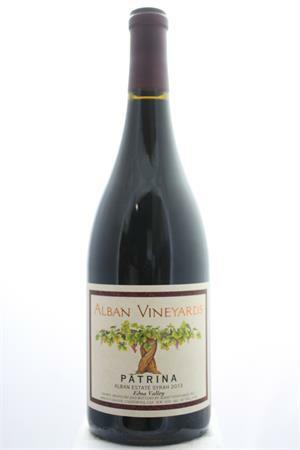 Showing the forward, plush, sweetly fruited style of all of the 2013s here, with notes of smoked meats, violets, caramelized black cherries and cassis, with its oak component pushed all the way into the background, drink this full-bodied, pure, seamless Syrah through 2023." Wine Advocate 94 points.